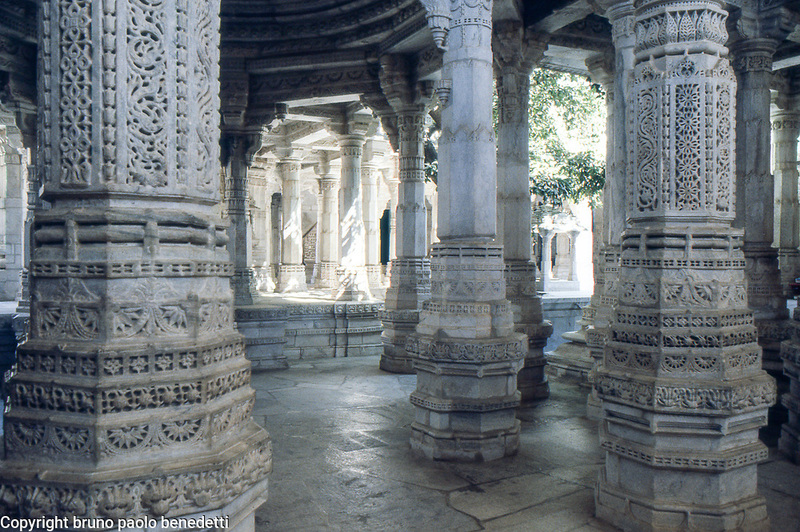 jain architecture: jainism temple in Ranakpur, Rajasthan, India. Glimpse trough marbre pillars of the adinatha jainism temple, that has 1444 marble pillars. Picture with wide depth of field. On foreground pillars in shadow. On background enlightened pillars.Calm mood inspiring meditation.